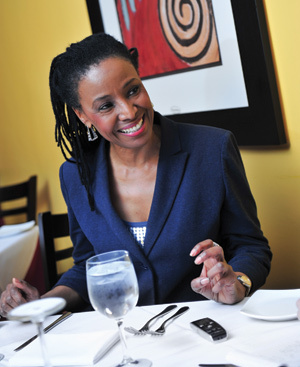 B. Smith, whose popular restaurant on the Long Wharf in Sag Harbor turned 14 on Mother’s Day and whose stylish Manhattan theater district restaurant turns 25 in November, is a dynamo. Besides being a successful restaurateur—she also opened a B. Smith’s in Washington, DC’s Union Station in 1994—she has her own lines of home goods (sold at Bed, Bath & Beyond), furniture, wall art and olive oil, with jewelry to be added soon. She’s authored three books, hosted her own TV show, and, in April, made her New York theater debut in the hit Off-Broadway show Love, Loss, and What I Wore, by Nora and Delia Ephron. 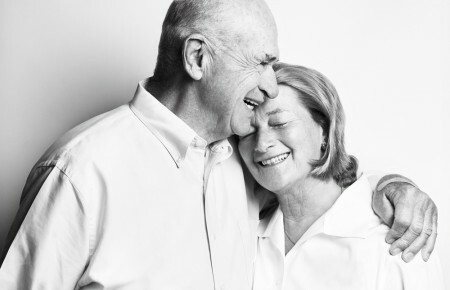 On June 18, Ms. Smith is being honored at a fundraiser for the Peconic Land Trust at its Bridge Gardens in Bridgehampton, near her beach house in Sag Harbor. “Her sense of style and her hospitality represent the tone we want to emulate,” said Rich Bogusch, who manages the five-acre gardens for the conservation group. A high-profile model for much of her life—signed with the prestigious Wilhelmina agency—she has scored a number of firsts as an African-American woman. She was first on the cover of Mademoiselle magazine (in 1976), first with a national magazine (in 1999, before Oprah’s O debuted), first to have a nationally syndicated television lifestyle show (B. Smith with Style, 1997 to 2005), first on the board of trustees of the Culinary Institute of America, and many more. On the day Pulse magazine tagged along, she started out at her 35th-floor apartment on Central Park South, with stunning views of Central Park, where she lives with husband and business partner Dan Gasby, whom she met at her first restaurant. Their 24-year-old daughter handles special events at the DC restaurant. On her living room wall is a painting depicting Ella Fitzgerald and Duke Ellington in the heat of performance, which she said she and her husband purchased “because we thought it was us, our energy.” They’re also both music fans. She once had a nightclub act, and also did summer stock in Vermont, where her “funkiest” role was Bloody Mary in South Pacific. Wilhelmina encouraged her to take up acting, singing and dancing, which helped her prolong her modeling career and gave her yet more creative outlets. From the home, we descended by elevator to another apartment she owns, where she keeps an office for her many enterprises and conferred briefly with two employees. Then it was on to the restaurant on West 46th Street by taxi, though she usually walks. That day, she was hosting an entire class of fourth graders from the Paul J. Bellew Elementary School in West Islip for lunch as a thank-you to one of the students, Theresa Rand, who had chosen Ms. Smith as her African-American Hero during Black History Month. Theresa’s video won a contest sponsored by WCBS-TV, and CBS news reporter Cindy Hsu and her crew showed up at the restaurant to cover the event. Wearing slim jeans and a jacket with the sleeves pushed up, Ms. Smith—whose given name is Barbara—looks decades younger than her age, which is 61. She was friendly, voluble, bubbly with enthusiasm and humor. In a conversation that began at her apartment and ended at her restaurant, she spoke about her life, starting with her humble start in western Pennsylvania as the only daughter of a steelworker and part-time maid. Tell me about your early life—what did your parents do, what was your family like? I had two older brothers and one younger brother. Growing up in Pennsylvania was really wonderful. I had a happy childhood and teenage years. Food and fashion were part of my life very early. My mother was a beautiful woman who wore beautiful jewelry and clothing. My father was a handsome man. He had been in the service, and he also was a very snappy dresser. They were the original Bob Vila and Martha Stewart in my life. My mother could do anything. We had a very little town, actually two towns called Scottdale and Everson, with a mixed neighborhood, Irish and German and Polish and African-American. My mother’s family was from one town and my father’s from the other one. We lived in Everson but Scottdale was where I went to school. My mother worked part-time doing housework, two or three days a week. I had grandparents on both sides, in both of those little towns that should have been one town. With my parents, I learned about gardening and about home fashions. We went to home shows. My father’s brother was an architect and, with my father, they could build anything…My mother liked to garden. We had fruit trees, we made grape jelly and homemade wine, and homemade root beer from extract. I would have fun picking berries in the woods, and in the fall we would gather black walnuts…My father made walnut cookies. My mom made everything else. Where did your parents get all those skills? I think back in the day, people did things with their hands. I was lucky that my parents did. How did you get it into your head to become a model? As a young teenager, I liked magazines. I bought Glamour and Mademoiselle and whatever else, along with Ebony and Jet. Once I saw the models in Ebony, I thought, “Oh, I could be a model, too.” Then I saw an ad, “Be a Model—John Robert Powers Modeling School.” It was in Pittsburgh. I asked my father if I could go, and he said, “Absolutely not.” I waited a week and I said, “Dad, it’s also a finishing school.” I was his only girl and I knew that he was a very proper gentleman. He said, “Well, we’ll take a look at it.” And he was very impressed. He said, “I’ll send you, but this is all the money I have for your schooling.” I was a sophomore in high school. I took every course they had. It was on Saturdays. I would take a bus an hour and a half to Pittsburgh and then spend the day there. The only work I could do was babysit on Saturday nights, so that paid for my nail polish, lipstick and the bus fare. I graduated from modeling and high school at about the same time. There was a company that came to my modeling school looking for the first African-American ground hostess, to be in a uniform like an airline stewardess and be an ambassador. It was a pretty powerful job, believe it or not. If people were running late, I would walk them down and, in those days, get the plane door open for them. It was a different time. I enjoyed it because it was shift work, and I could go back to modeling school and teach there, or switch shifts with another hostess if I had a modeling show. So you were modeling already? Yes, locally. I was doing runway modeling and a little print modeling for companies like Alcoa. I was on the Mr. Rogers TV show [which was filmed in Pittsburgh] modeling wedding gowns for Lady Sara, who was about to marry King Friday. I was a fan of the show, so I knew Mr. Rogers. Later, when I had my first restaurant in New York, Mr. Rogers came here and filmed his show, and we showed kids the large equipment in the kitchen and talked about various things in the kitchen. Then he asked me to come to Pittsburgh for a show, and when I got there they had a model of my original restaurant in the neighborhood. This was big stuff. Was your father reconciled with your being a model? Yes, after I came to New York on my own [at age 19]. I think he knew he had to let me go. I was living in Pittsburgh at the time…I was doing more modeling and teaching in Pittsburgh. At the same time, I tried out for the Ebony Fashion Fair. I was a junior hostess first. The fashion fair traveled to different cities. I would sell tickets locally, and be a hostess. I think it builds character in young people. And I liked being busy, being a part of something. I was always busy. 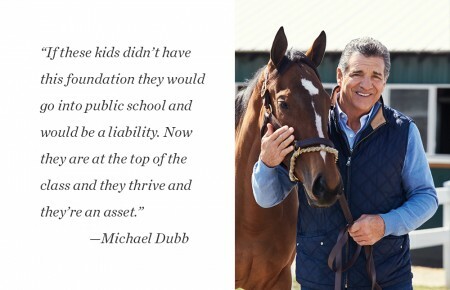 The teaching was an entrepreneurial thing? Yes it was. I always had more than one job at one time. Even in high school, I was very busy with home economics class, that was my favorite. It was cooking and sewing. So I decided to create the Home Ec club, because Homemakers For America wouldn’t let me into their group, so I created my own and I was the president. I always did a lot of fundraisers at school, too. I did car washes and once I got hold of a black DJ from station WAMO. I went there and said, I want Hal Brown. He was the guy. It was a mixed school, but it didn’t matter what color you were when you were dancing. Can you tell me more about the Ebony Fashion Fair? I tried out three years in a row, two years when I was living in Pittsburgh and the third time when I was in New York. They flew me to Chicago in early June. I didn’t hear from them, so in mid-August I called. They put me through to the fashion division and they told me I hadn’t been accepted. I cried for the rest of that day. Then I got a telegram: Be in Chicago by a certain day. You have been chosen for the Ebony Fashion Fair. I got what I wished for. We went to 77 cities. We traveled mostly on a Greyhound bus that was redone for us. We slept in our lounge chairs. We had props and our clothing underneath. I think there were eight of us. But 77 cities was quite interesting by bus. Tell me more about what the Fair was. Community organizations, like women’s clubs, would host us, and we would put on a fashion show. It was an honor to be chosen for the fair. It was a big deal. I came to New York with a friend. We both came on the Greyhound bus. We just came, without a job. I had saved money, so I had a little savings. Did you find jobs in New York? Yeah. I started working as a waitress, and I was terrible, terrible. I was a terrible waitress but I was good at the parties. I got tips wherever I went, because I was very friendly. Then I ended up teaching modeling at the Barbizon [modeling school], evenings and weekends, and I could pursue my modeling in the daytime. Did you get modeling jobs right away? I did. I looked like a model, and I worked in showrooms, because until you get a good agent, you have to find jobs yourself. I had a very lenient boss in the showroom. He knew I was doing other things, and he didn’t mind. I have good memories of that time in my life. Some bad, but mostly good. That took a lot of courage, to come to New York. It was something I had to do. I had no desire to live in any other city. How long was your modeling career? Do you mean how long did I drag it out? I modeled and I did commercials, too, so I had a longer career than most models. How did this lead to a restaurant? As long as I’ve been in New York, I cooked. Food was always part of my life. I opened my first restaurant in 1986 with partners, but that partnership didn’t work out, and it dissolved. We opened the restaurant in DC next, and then we moved here. Which came first on Long Island, your home or your restaurant? The home. We bought it in 1994. I already had the restaurant here and in DC. As we looked around, we wanted to be in a community where our daughter could have fun. And we wanted to be in a beach community. It just seemed that we knew enough people out there that it would be comfortable for us. At what point did you decide on a restaurant in Sag Harbor? When you’re in the restaurant business, you can’t pass an empty space without thinking about it. You’re addicted to the business. And when you find a location like that, and you have the opportunity…The two years before we took it over, the people who were there had run it into the ground, and then the landlord took it over and decided he wanted a restaurant operation to come in. If you love the business, it’s hard to see an opportunity and not take it. 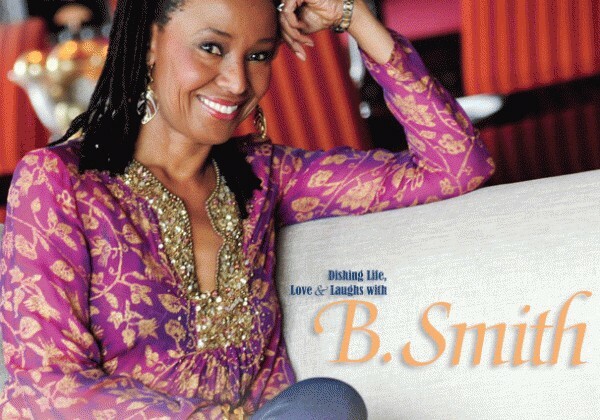 When did you switch to B. Smith instead of Barbara Smith? I started calling myself that right away. Barbara just took too long to say. I was too busy, I had too much to do. That was in my early modeling days. My friends call me B. My brothers call me Barb. He just calls me—hey! When he talks about me, he refers to me as B., but he would call me honey, sweetie or something like that, not B.